In July 2017, Mexico’s national energy ministry (SENER) opened the onshore portion of the Burgos Basin, a shale-rich basin in northeastern Mexico, for natural gas exploration and development by private companies. This is the first time non-state entities were offered access to the Burgos Basin for development since the creation of the national oil company Petróleos Mexicanos (PEMEX) in 1938. SENER hopes that private investment will help to reverse the decline in natural gas production and offset decreasing PEMEX investment in the region. Production from the Burgos Basin accounted for 15% of total natural gas production in Mexico in 2016, and the basin holds the largest undeveloped shale resources in the country. Increasing production from the region would help meet growing natural gas demand, particularly from new natural gas-fired generation in Mexico’s Northeastern region, and make Mexico less reliant on natural gas imports in the long term. Located in the state of Coahuila, south of the Rio Grande River, the Burgos Basin covers an onshore area of approximately 24,200 square miles. 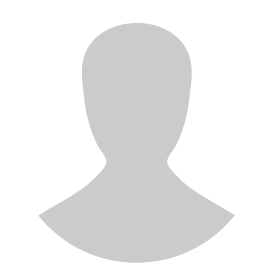 Offshore, it extends onto the continental shelf of the Gulf of Mexico. The Burgos Basin is the southern extension of Texas’ Western Gulf Basin, which encompasses the Eagle Ford shale play. PEMEX initiated exploration activities in the Burgos Basin in 1942 and it has discovered some 227 fields, mostly rich in natural gas. 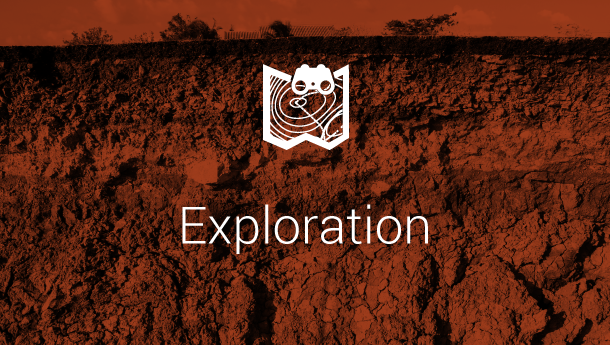 The basin currently has more than 3,500 active natural gas wells in non-shale formations. 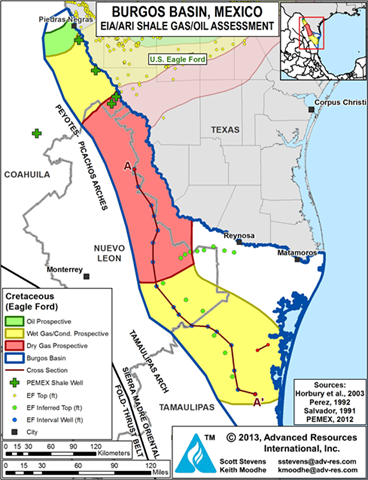 Many reservoirs in the Burgos Basin have low permeability and high decline rates typical for tight formations, which require significant investment from PEMEX to maintain or increase production. In response to decreasing natural gas prices over the past five years and energy reforms introduced in 2014 that gave priority to oil development, PEMEX has decreased its exploration and production spending in Burgos. In 2017, PEMEX plans to spend $51 million (0.9 billion pesos) in the Burgos Basin, down 92% from the $657 million (11.7 billion pesos) it spent in 2012. At the same time, natural gas production in the basin has dropped by 32%, from 1.2 billion cubic feet per day (Bcf/d) in 2012 to 0.87 Bcf/d in 2016, all from nonshale formations. 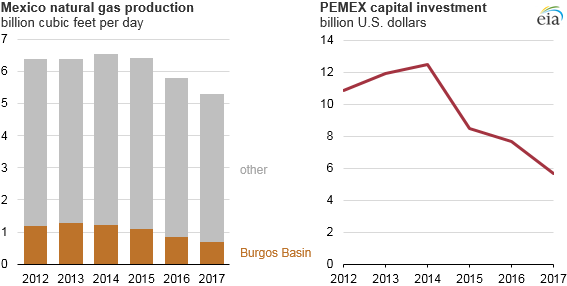 Although PEMEX has conducted shale exploration activities on its own in the Burgos Basin, they have yet to reach commercial production, as many of the early wells have low production rates. The companies that were awarded licenses in the Burgos Basin are expected to stabilize or reverse the declining natural gas production in the region. 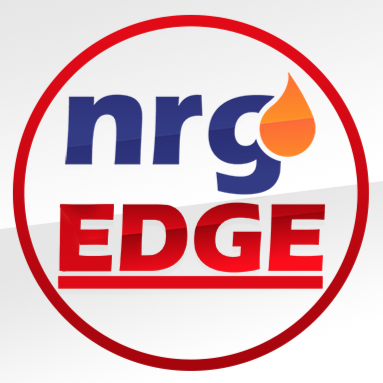 High levels of production in the U.S. Eagle Ford shale play to the north could indicate similar production levels in the Burgos Basin region. The Mexican government is planning to open more acreage in Burgos and other shale basins to private companies before the end of 2018.